The kickoff event for MSMS Alumni Weekend 2019 is our MSMS Alumni Panel where alumni field questions from current MSMS students about careers, college, and life. Sarah Sapp, Class of 1999, is one of our 2019 panelists. The Alumni Panel will speak on Friday, March 29th, at 3:00 PM in Shackelford Auditorium. Alumni are welcomed to attend. After MSMS, Sarah attended the Meek School of Journalism and New Media at the University of Mississippi and graduated with a Master’s Degree in addition to being inducted into the Kappa Tau Alpha Honor Society. 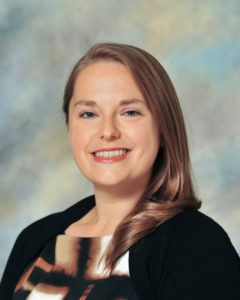 She has also worked as a Special Projects Coordinator for the Mississippi School for the Arts and as Director of Communications for the Northwest Mississippi Community College. Today, Sarah lives in Oxford, MS, with family. We’re thrilled that Ms. Sapp was able to take time to visit with the MSMS students and speak with them about journalism in the world today.